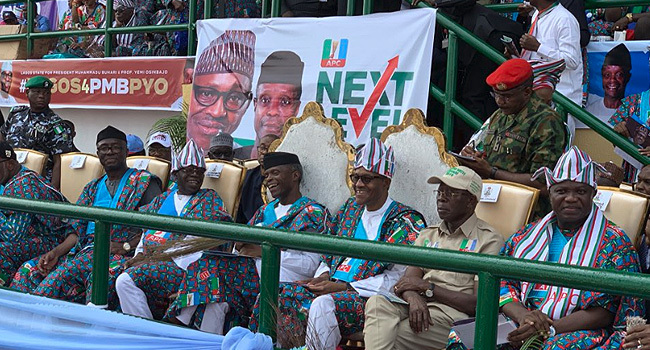 The National Chairman of the All Progressives Congress (APC) Adams Oshiomhole, National Leader Bola Tinubu, Ekiti State Governor Kayode Fayemi, Minister of Transportation Rotimi Amaechi have graced the President Muhammadu Buhari’s campaign in Lagos. He arrived at the Presidential Wing of the Murtala Muhammed Airport, Lagos on Saturday morning. 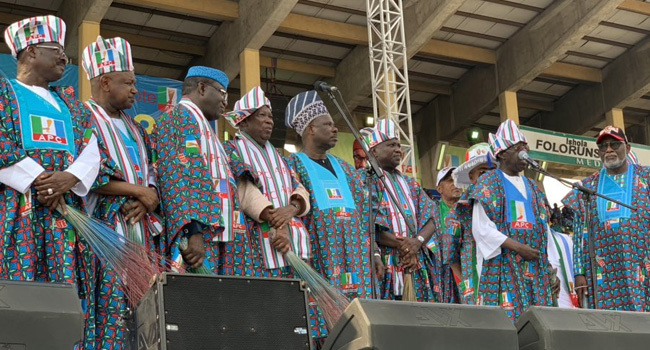 The President alongside the Vice President, Yemi Osinbajo, was received by the state governor, Akinwunmi Ambode, Kano State Governor Abdullahi Ganduje, Minister of Labour and Employment Chris Ngige and other officials of the party. Upon his arrival, he met with some business owners in the state under the auspices of Organised Private Sector (OPS) at the Lagos Marina House. The President later left for the Teslim Balogun Stadium for the campaign rally where his supporters awaited him in anticipation. 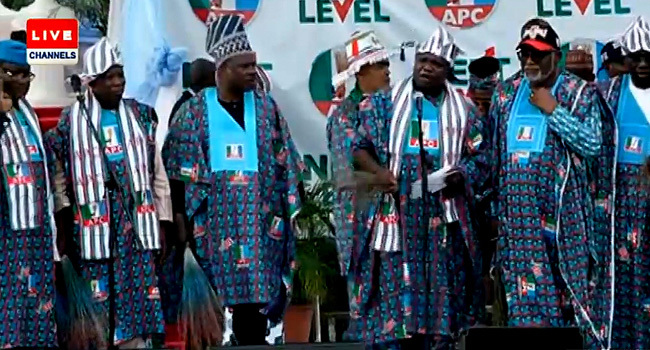 Others in attendance are the state governor Akinwunmi Ambode, Ondo State Rotimi Akeredolu, Minister of Power Babatunde Fashola, among other party officials.